Spreading a Little Holiday (and Audiobook) Cheer! You may have noticed that the blog post is coming out on Saturday instead of my usual Friday. (If not, maybe you need to look around and see if you’re at work when you’re not supposed to be.) There’s a reason for the change in schedule, which I’ll get to in a bit. 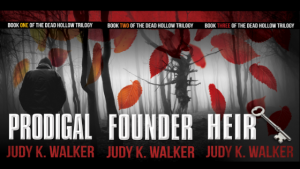 As I told my Reader Group folks (aka Newsletter, for those of you who aren’t cool kids), this week I approved the first twenty-minute sample of my Heir audiobook—yay! I’m so excited to wrap up the trilogy in audio (you can get it in ebook or paperback already), but I’m also feeling bummed. 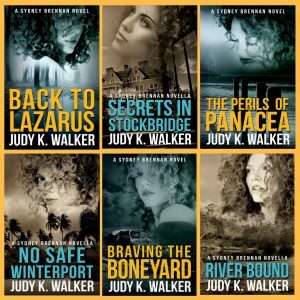 I can’t tell you how much I love these characters, and so long as I’m still working with Alex (my awesome narrator), I’m still working with Adam and JJ and Luther and the gang. Not to mention, so long as I’m still working with Alex, I’m still working with Alex! I’ll miss him almost as much as the characters. 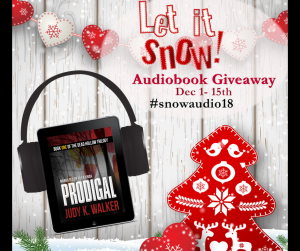 So, to share my excitement about my audiobooks, and help tip me closer to the giving rather than consuming end of the scale, I’m participating in the Let It Snow! Author Audio Event. 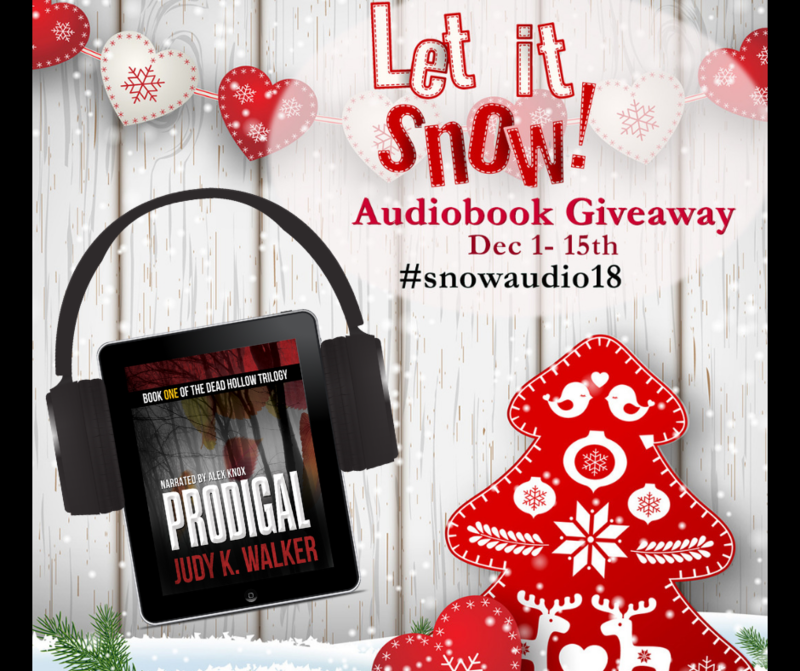 December 1st (today) through December 15th participating authors from ALL GENRES and all over will be giving away FREE AUDIOBOOKS! Each author chooses what to give away and how to do it, so be sure to read their details before you enter. 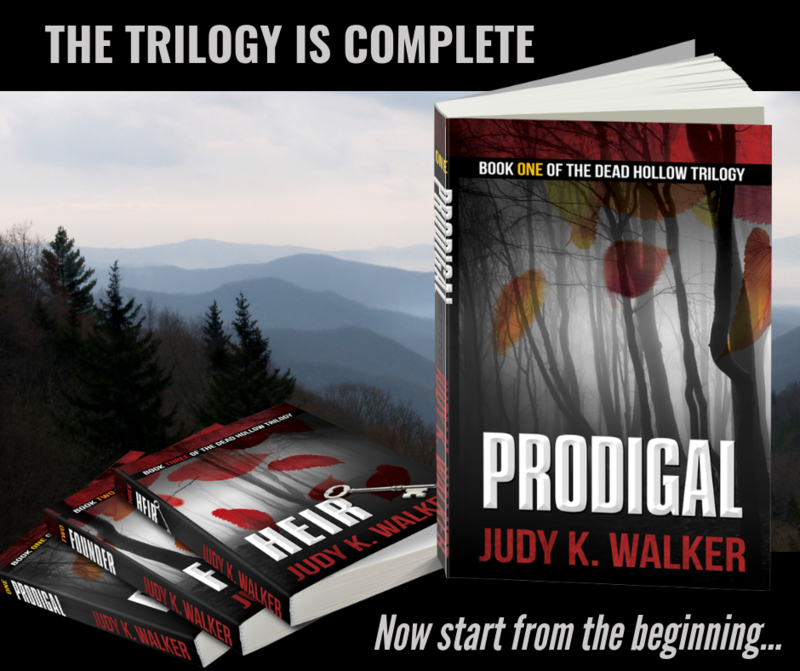 I’m giving away TWO FREE COPIES OF PRODIGAL, the first Dead Hollow book! There’s no purchase necessary, but you do have to live in the United States or Canada (sorry, my codes don’t work elsewhere). I’ll only use your email address to contact you if you win—you will not be added to a list. You can stream or download the book using the free Authors Direct app, and it’s yours to listen to forever. Or at least until App-ageddon (when everything crashes and we find ourselves wondering why we ever purchased thirteen cans of low salt lima beans). Drop me an email if you have any questions, and be sure to click HERE to enter before December 15, 2018. Good luck, and happy listening!